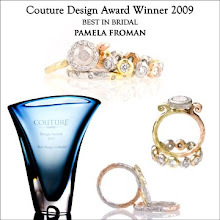 Get A Crush on Pamela Froman Pearls! 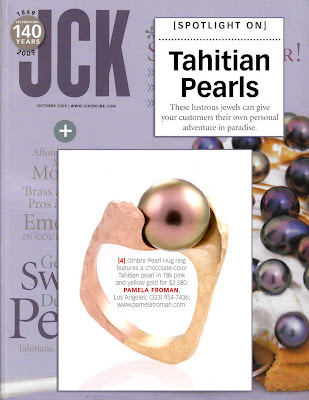 I thought it was pretty cool that two magazines have recently featured Tahitian Pearl designs by Pamela Froman: the September issue of Watch & Jewelry Review, and the October issue of JCK! These two pieces are very different but, you'll notice that in both designs, Pamela has hand-selected beautiful natural color pearls that are complemented by the special colors of her crushed gold. I just finished making these one of a kind 22k & 18k white gold cufflinks... they are different shape milky aquamarines (with prismatic inclusions!) 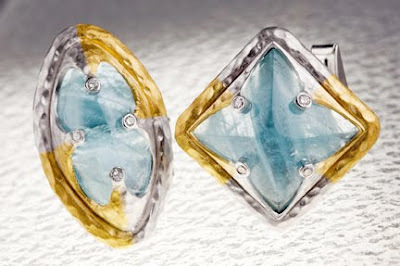 accented with diamonds. The aquamarines are beautiful, especially the way the milkyness runs through the stones, and how the light picks up the iridescent flecks. I also love that they are 2 totally different shapes, yet they totally complement each other. They are pretty nice size too, a little over an inch, and I think they would look great on a white shirt! These are definitely for the man who wants something unique! 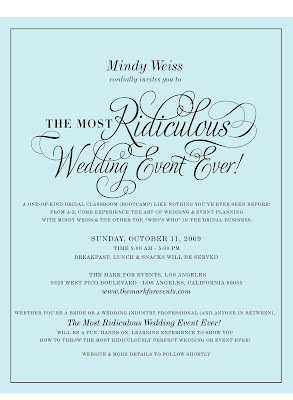 The Most Ridiculous Wedding Event Ever…. 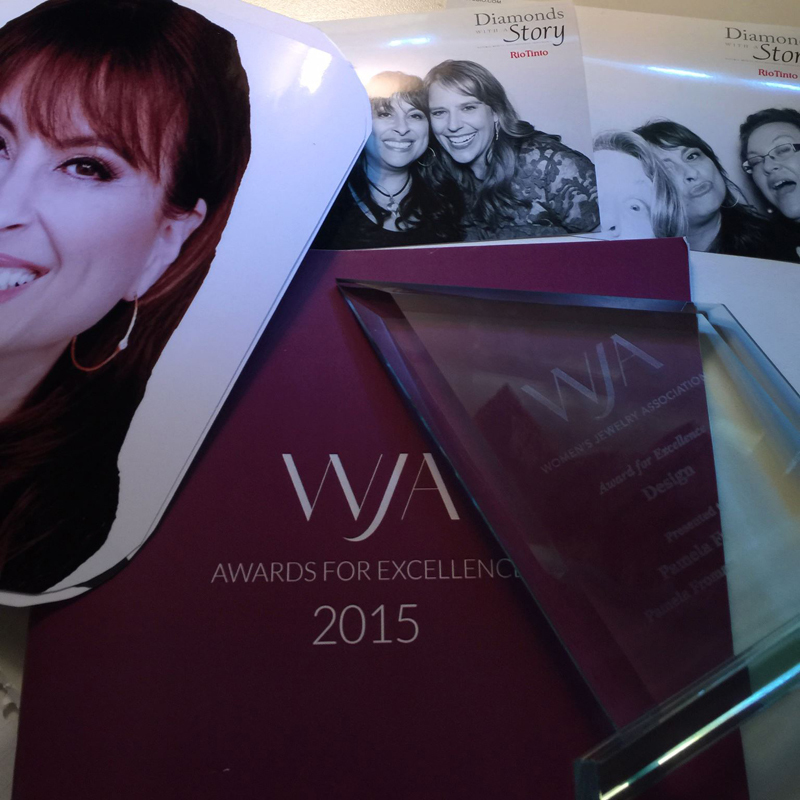 2015 WJA Award for Excellence in Design!!! An alternative Bridal Suite from Pamela's "Crushed Melange" Collection won the hearts of judges! 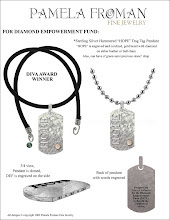 Russell Simmons' "Diamond Empowerment Fund" Winner: sterling silver hammered dog tag with engraved “Hope”, 14k gold diamond bezel and green moss agate bead. This unisex design can be worn on leather or ball chain. 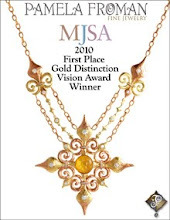 "The MJSA Vision Award recognizes the talent and innovation of designers whose work will have a profound influence on the future of jewelry design." 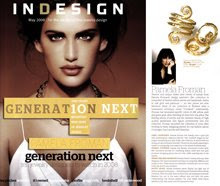 The consumers have spoken: Pamela Froman’s innovative tri-color 18k gold jewelry is what they want! 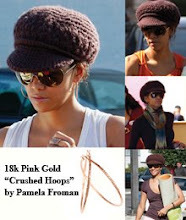 Halle Berry in Pamela Froman "Crushed Hoops"
We love seeing this gorgeous woman wearing Pamela Froman! 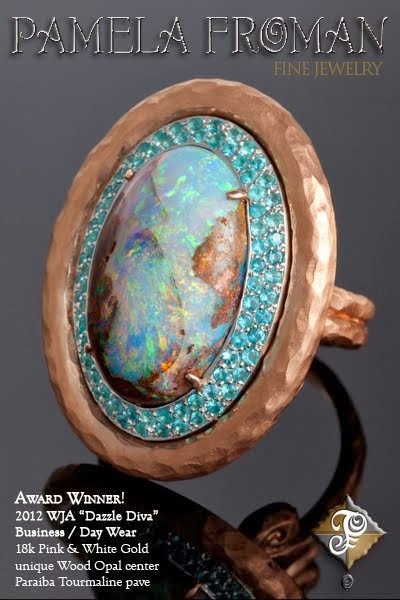 The "Oscar" of the Fine Jewelry Industry! One of the Best New Designers of 2008! We'll do our best to keep you updated on all the latest happenings. 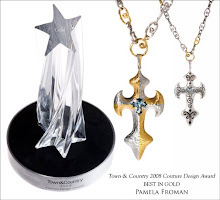 I'll tell you about our newest pieces, where Pamela's jewelry has appeared (magazines, television, movies, etc. 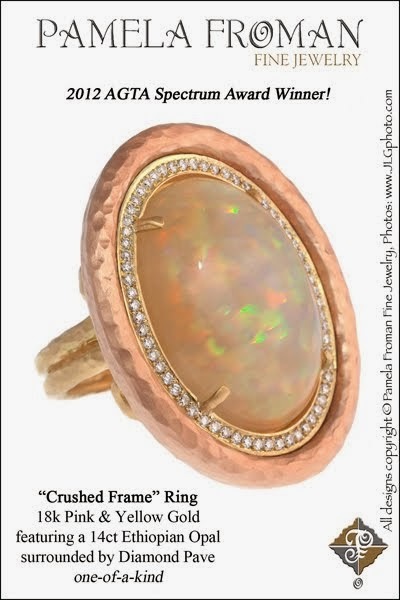 ), where the trunk shows are, and maybe just some random fun-facts as well. 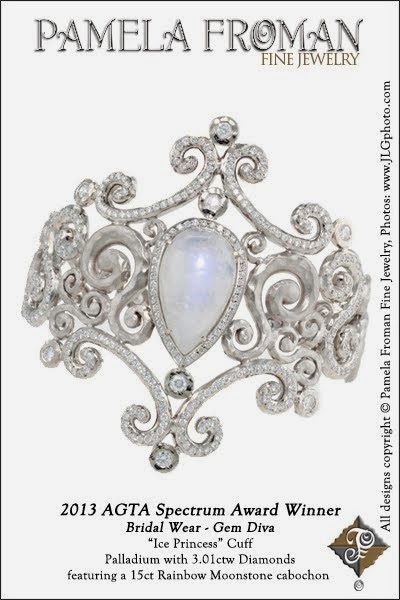 Jay will post some of the amazing photographs he's taken of Pamela's jewelry and, occasionally, Pamela herself might feel like posting something. So, now that you've found us, check back throughout the week to see what's new. We'd love to hear from you, so please don't be afraid to comment and participate in polls! 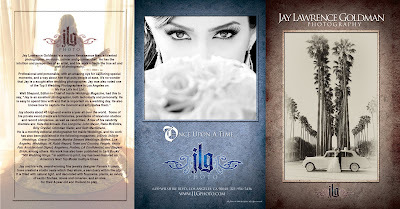 Get the Jay Lawrence Goldman's Photography Blog widget and many other great free widgets at Widgetbox!